Since being diagnosed with coeliac disease in 2011 I have become increasingly aware of other food intolerances. One of the more common intolerances I come across, other than gluten of course, is those who have issues with dairy or lactose. Many coeliacs have problems with lactose in the early stages after diagnosis, and this is well explained on the Coeliac UK website here. Being well aware that there are many Gluten Free by the Sea readers who are dairy or lactose intolerant as well as being gluten free, I was keen to be able to offer some extra advice on the subject. So a huge thank you to Emma Louise Huthchinson of Love Free From (formerly Love Lactose Free Life) for accepting my invitation to share her wisdom with you. 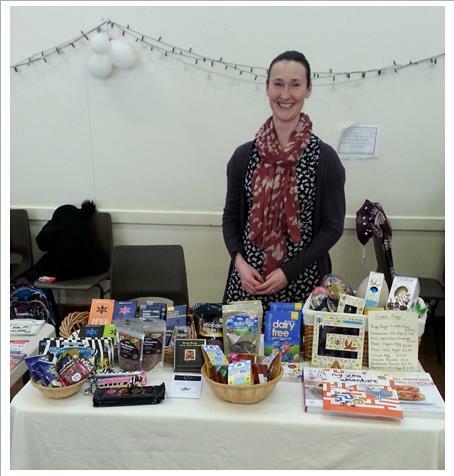 Some of you may have met Emma at either of the last two Coeliac UK Plymouth Group events, or the Christmas Free From Food Fair at Ivybridge last year, which she helped to organise. 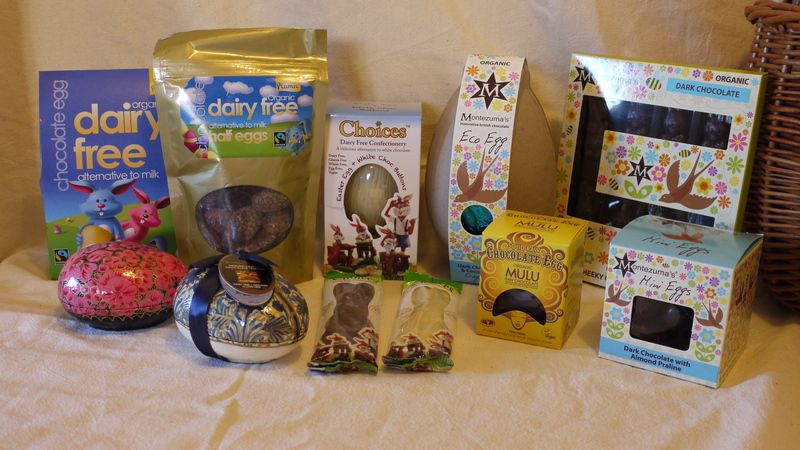 Hi I am Emma of Love Free From, a small online retailer selling an extensive range of the tastiest freefrom chocolate and treats. My little business was created in 2011 after I had given up lactose, dairy and gluten for medical reasons. In 2011 I also gave birth to our little boy who has been lactose intolerant since birth. Avoiding gluten for medical reasons is a life time challenge. One that gets easier over time but you never have a break from. I am lucky that I have not been diagnosed with Coeliac Disease. However, I have been blood tested several times as I show very similar symptoms when I consume gluten to Coeliac sufferers. I am still undergoing my diagnosis journey. For the past 6 years I have visited my GP surgery numerous times, seen several dieticians, a gastroenterologist and an immunologist. I have been told I have a virus, acute urticaria, asthma, hives, IBS, stress, anxiety, lactose intolerance and gluten sensitivity. Most medical practitioners don’t believe there is anything wrong with me and I am fighting for my symptoms to be acknowledged. What I do know is that when I eat certain foods I have symptoms. These range from heartburn and reflux, nausea and brain fog, bowel problems and stomach cramps, aching joints and back ache to itchy skin and eyes, rashes and migraines. Most of these symptoms have gone after removing not only lactose but dairy and gluten from my diet. On the bright side I love food. Even avoiding dairy, lactose and gluten I still love food. I love to cook, I love to bake and I am a complete chocoholic. It made sense to me to specialise in seeking out and selling allergen free chocolates to anyone who would otherwise miss out. Being involved in the freefrom industry has put me in touch with some of the most supportive people I will ever meet. Through social media you can discuss symptoms, diagnosis, recipes and eating out. You can even just chat knowing that other people understand your daily routine. It also gave me the fabulous opportunity this year to be a judge at the Free From Food Awards (winners to be announced end of March, www.freefromfoodawards.co.uk ). Eating with multiple food allergies, intolerances or illnesses is tricky but really follows the same principals to eating avoiding one food source. Enjoy making new contacts – there is nothing better than finding a new friend or company who understands your food needs. You made me feel hungry reading that and looking at all the easter eggs. Hopefully more products might be both gluten and dairy free in future. We can live in hope. Ooops sorry Ruth! I do have a bad habit of focusing of taste, flavour and indulgence. I don’t think anyone should miss out on having the choice to eat tasty food.